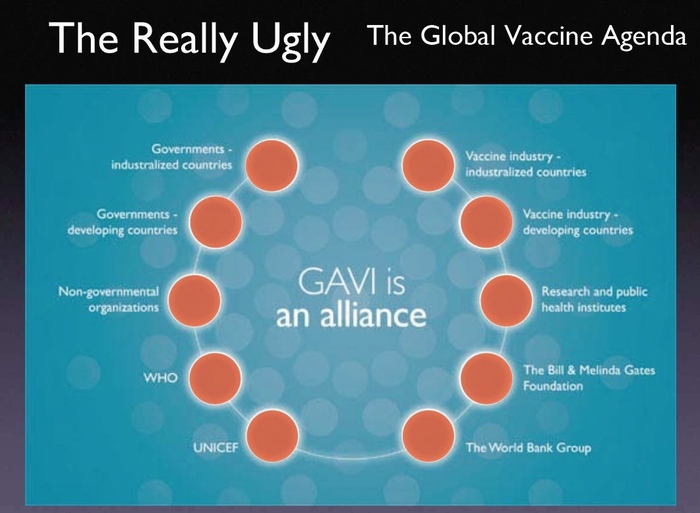 [2015 June vid] "Gavi And Unicef Force Africa To Pay For Mass Vaccination Then Use Vaccines Rejected by CDC"
[2011 Nov] UN, Bill Gates Foundation Push Deadly HPV Shots on Poor Nations Under ‘GAVI Alliance’ by Anthony Gucciardi Organizations and governments around the globe should be banning Gardasil, not unleashing it on poor countries. 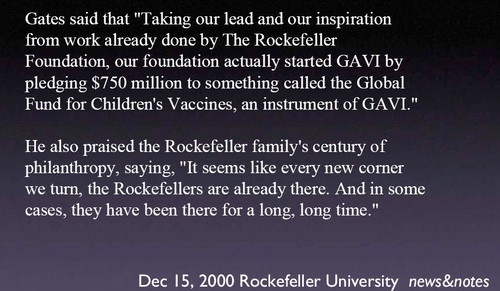 It seems that GAVI, a multi-billion dollar merger of government and corporation, is not truly interested in improving the health of 3rd world inhabitants. [2011 June] GAVI Guts UK For £1.5 Billion, Bill Gates Applauds By Christina England Well we certainly know where David Cameron’s priorities really lie, don’t we? 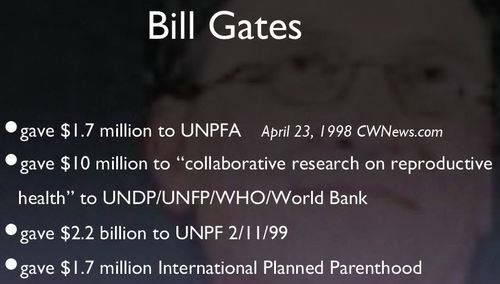 I believe it is not only Bill Gates that needs to answer a few questions. I would like to ask David Cameron, why he feels the need to pledge £1.5 billion pounds to the third world vaccine programme and pay for this by robbing the UK’s most vulnerable people? 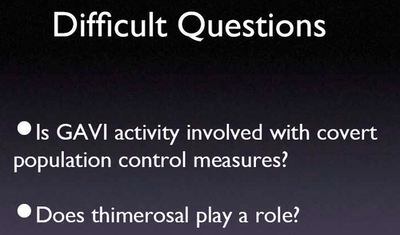 I would also like to ask – what use are vaccines to a starving child, dying of malnutrition? The Rockefeller Foundation was the major funding source for Kinsey, even though it had ample, repeated warning from noted statisticians and social scientists that Kinsey’s pseudo-science was a hoax. The Rockefeller Foundation began funding Kinsey in 1941, mostly by grants funneled through the National Research Council, but it also funded Kinsey directly.